YASKAWA Electric Corporation (YASKAWA), one of the world’s largest manufacturers of drives, motion control products and robots, headquartered in Kitakyushu, Japan, plans to expand their development centres in India. Bangalore: YASKAWA Electric Corporation (YASKAWA), one of the world’s largest manufacturers of drives, motion control products and robots, headquartered in Kitakyushu, Japan, plans to expand their development centres in India. Commemorating their 100 years in 2015, YASKAWA has also renewed its corporate logo and identity. The company has been a pioneer in launching a wide range of technological brilliance in AC Drives, Servo products and Robots technologies. Founded by Mr. Daigoro Yasukawa in 1915 as a manufacturer of electrical equipment, the company has grown over the years and has achieved many milestones. 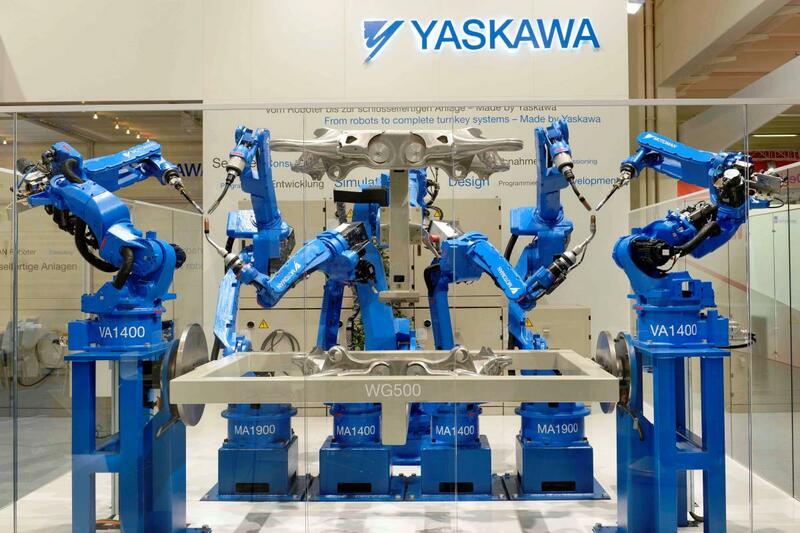 Today YASKAWA is a leader in developing and manufacturing robotics and automation solutions, with annual revenue of over $4 billion USD and over 14,000 global employees. plans.” stated Mr.JunjiTsuda, Representative Director, Chairman and President of YASKAWA. “We constantly strive to put in our best efforts to provide quality in our products and satisfaction to our customers and it’s this effort that has been driving YASKAWA to the top. health care segments, amusement and commercial use”, said Mr.Akinori Urakawa, President & CEO of YASKAWA India. with the business of PLC and AC drives in 1990s, and steadily expanded to accommodate growing customer needs. YASKAWA Electric located in Kitakyushu, Japan is a world-leading provider of core technologies focused on motion control, robotics, and system engineering. Founded in 1915, YASKAWA Electric has provided exceptional customer experiences for 100 years. Focusing on mechatronic solutions, it has shipped over 20 million AC drives, 13 million servo drives and 300,000 robots worldwide. For more information, visit www.YASKAWA.co.jp.